At Medica 2018 we spoke with Dr. Uwe Schlünz, doctor in sports science and rehabilitation, therapist and trainer. Founder of Aquaback training and cooperation partner of EWAC Medical. 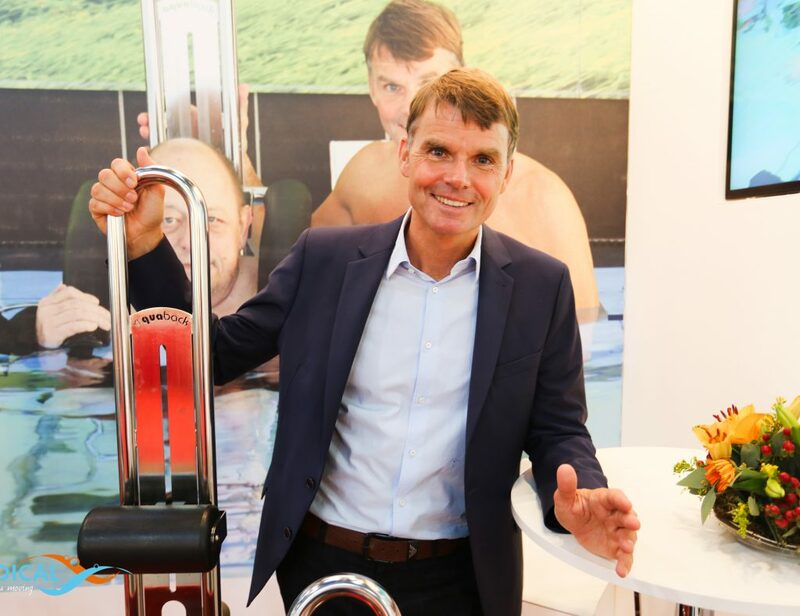 With his background as a professional swimmer, Dr. Uwe Schlünz graduated at Leipzig University in Sports Science. With his master’s thesis, he proved that strength training in water works. This followed by the development of a completely new aqua training concept and device line (www.aquaback.de) for fitness and rehabilitation. He has also founded a health club and developed other trainings such as medical rehabilitation-, prevention-, and other aquatic therapy training. Dr. Uwe Schlünz has a lot of knowledge and knows what’s important when it comes to fitness and rehabilitation in water. In this interview, Dr. Uwe Schlünz will explain more about the content of different training programs he provides. If you want to expand the rehabilitation possibilities at your rehabilitation centre or clinic, consider a (introduction) training in Aquatic Therapy, which suits your needs. Curious how Aquatic Therapy (training) can help patients, therapists or rehabilitation centres? Get in touch with us now!